The BLX-R Wireless System is the most accessible wirelesssolution from Shure, and ideal for small classrooms requiring essential mobile presentation capabilities. 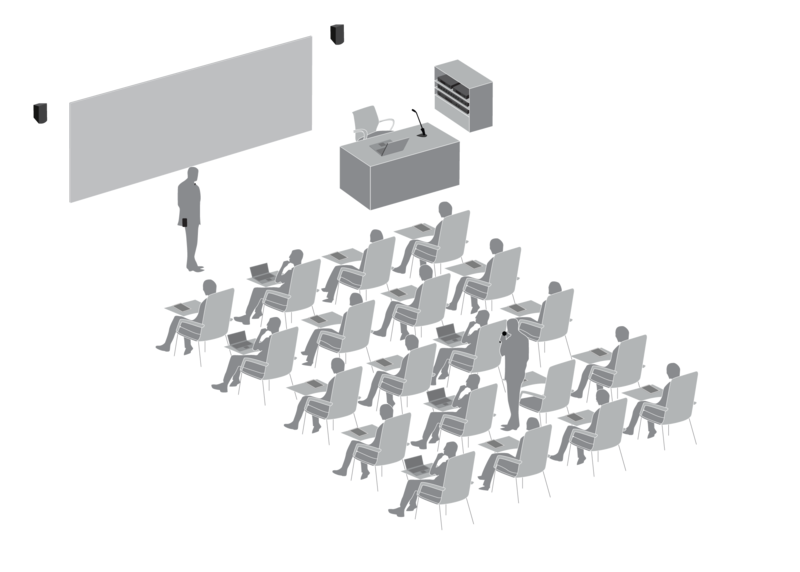 With simple setup and RF-efficient operation, the system can easily be deployed across several classrooms in the same building. Additionally, the Centraverse™ Installed Microphones are a suitable plug-and-play, wired audio solution for podium or speaker stand, satisfying basic sound reinforcement needs and deliverying best-in-class performance.